Do You Have a Snow Removal Plan for Your Chicago Home’s Roof? When we think of snow removal for the home we often picture our sidewalks and driveways. But did you know that having a snow removal plan for your Chicago home’s roof is important too? Winter can wreak havoc on any good rooftop. Piles of snow and ice damming can damage your roofing system and the surrounding areas. Keeping it protected during the chilly months helps reduce the likelihood of premature aging and lessens the chances of costly repairs. First you want to make sure your roof is in good condition before winter arrives. This means scheduling an inspection for your Chicago home if you suspect problems or haven’t had it checked in a while. Missing shingles, damaged flashing and broken gutters can cause BIG headaches when the snow begins to fall. Schedule a thorough inspection with a quality exterior contractor such as Custom Installations. Next you want to consider tools you can use to keep the snow from putting unnecessary strain on your roofing system. Heating cables are a popular option to help melt the piles of snow that collect on the peaks and valleys of the rooftop. Combined with a well-functioning gutter system, these coils can also help prevent ice damming. Snow guards are another option to enhance your Chicago home’s snow removal plan. Snow guards (also known as snow brakes) help spread the snow evenly on the roof preventing it from avalanching in any one area. They also can reduce ice from forming and falling in big sections lessening the risk of damage to property as well as hazardous conditions on sidewalks and driveways. A more standard approach to snow removal is to use a shovel to gently guide the snow off the roof. Opt for a plastic shovel over a metal one as it is less damaging to roofing shingles. While this option is cost effective and simple, it can also be dangerous. Many homeowners opt to hire a snow removal company to do this job for them along with other snow plowing services. How often should you remove snow from the roof? Most experts would suggest removing the snow when it accumulates to six inches or more especially if you have had a history of ice damming. 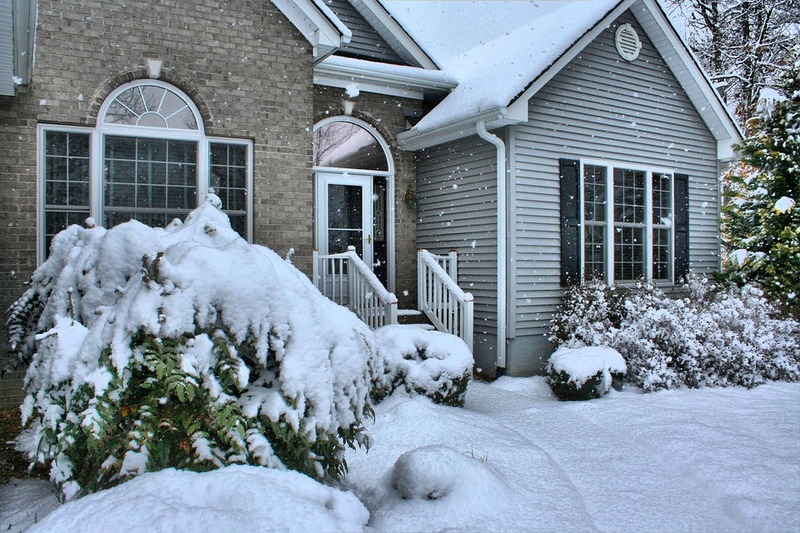 The more often you remove the snow the less susceptible your home is to damage. Considering a heat coiling system or snow brakes for your home? Proper placement of them is key to a successful outcome. Let the team at Custom Installations get your home ready for winter. We have experience installing both on all types of buildings from commercial properties to single family residences. We can help you create a snow removal plan for your Chicago roof that is both effective and affordable.